The Tamil National Alliance (TNA) has today decided to support the opposition common Candidate Maithripala Sirisena, the TNA announced a short while ago. 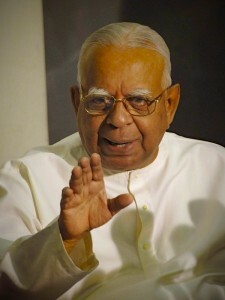 The Tamil National Alliance (TNA) has given careful consideration to the positions and pronouncements of the two main candidates at the upcoming Presidential election and has also undertaken an extensive process of consultation to hear the views of the Tamil speaking people, particularly those in the North and East. As the political leadership of the Tamil people in Sri Lanka, we have a historical duty to guide our people and the wider citizenry in the choice they will be called on to make at the election. Sri Lanka’s inexorable move toward dictatorship and totalitarianism, with the Executive President becoming, in effect, the sole repository of all powers of governance. The removal of the two term limitation on the office of the President was clearly intended to perpetuate this dictatorship and authoritarianism. The subversion of the independence of the judiciary, particularly of the Supreme Court and the Court of Appeal, so as to render the judiciary subservient to the Executive President. The illegal impeachment of the Chief Justice on frivolous grounds, and the numerous steps taken thereafter leading up to the judicial determination on the current Presidential election illustrate this reality. We are proud to note that the TNA resolutely opposed the Eighteenth Amendment to the Constitution and the impeachment of the Chief Justice inside and outside Parliament, and are heartened that, even at this stage, those who supported the Eighteenth Amendment and impeachment have had an opportunity to reflect critically on those mistakes. The devaluation of Parliament as a legislative and oversight body by the Rajapaksa regime through enticing opposition MPs to the government by offering monetary inducements and executive posts, so as to achieve a two-thirds majority in Parliament and effect vital constitutional changes. As a consequence, Parliament has become a mere appendage of the Executive President, in violation of its constitutional role. The intentional violation and subsequent abolition of the Seventeenth Amendment to the Constitution, and with it the Constitutional Council, thereby removing the existing scheme designed to ensure independent appointments to the Supreme Court, Court of Appeal, Judicial Services Commission, Elections Commission, Public Service Commission, Police Commission, Human Rights Commission, Bribery Commission, and the Offices of the Attorney General and Auditor General. The devaluation of the higher judiciary, Parliament and formerly independent institutions has resulted in the replacement of the rule of law by the unfettered fiat of the Executive President. The authoritarianism of the Executive President has been consolidated by the restraints imposed on the free media and civil society through threats and intimidation; the denial of the right to freedom of information; and the impunity with which the President and his subordinates function. The TNA therefore believes that it is essential for the health of Sri Lanka’s democracy that the authoritarian and dictatorial trajectory on which the Rajapaksa regime has set the country be reversed urgently. The Rajapaksa regime has been particularly harmful to the wellbeing of the Tamil speaking peoples of Sri Lanka. The TNA has been committed to the evolution of a just, reasonable, workable and durable political solution within the framework of an undivided Sri Lanka. We have defined the contours of such a solution orally and in writing and publicly stated our position. Despite the opportunity presented by the end of the armed conflict, the Rajapaksa regime has signally failed to engage genuinely in a process of evolving an acceptable political solution, except to engage in deceitful and dilatory exercises. Hundreds of thousands of Tamil speaking civilians displaced by the armed conflict in the North and East have not yet been resettled, rehabilitated and provided with housing and livelihood. Instead, tens of thousands of acres of private lands have been grabbed by the Rajapaksa regime in the North and East, despite commitments made to the contrary in the Supreme Court and in Parliament. Now, such land grabs are taking place in other parts of the country as well. Apart from the construction of roads, bridges and buildings at exorbitant costs which burden the tax payer, the Rajapaksa regime has refused to rebuild the lives of people in the devastated North and East and failed to bring any improvement to their quality of life. The Tamil speaking population in the North-East has been subjected to numerous other hardships: the denial of livelihoods; shelter; food; self-respect; physical safety, particularly for women and children who have been targeted by sexual violence; and justice in respect of the dead, the injured, the disappeared and those detained for long periods. The Rajapaksa regime has only brought pain and suffering to the Tamil speaking peoples of this country. Instead of pursuing reconciliation, the Rajapaksa regime has permitted extremist groups to carry out attacks against minority peoples and their places of religious worship. The regime’s inaction in the face of racist violence and hate speech is suggestive of its covert complicity in these attacks. It is in the totality of this background that the Presidential Elections take place. We have taken note of and welcome the Common Opposition Candidate’s undertakings, amongst others, to abolish the Executive Presidency, repeal the Eighteenth Amendment, restore independent commissions and guarantee primacy to the rule of law. The TNA believes that genuine restoration of democracy to the country will only be meaningfully achieved when the Sri Lankan state is structured to accommodate the aspirations of all its diverse peoples to meaningfully access state power, and when all Sri Lanka’s citizens are treated equally. We sincerely hope that in the new consultative and consensus based political culture that would evolve pursuant to the victory of the Common Opposition Candidate, democracy will be restored to the whole country through good faith negotiations between all stakeholders with a view to ensuring a life of equality, justice, dignity and self-respect for all Sri Lanka’s peoples. The experience of our people has been that the struggle for democracy over dictatorship is inextricably linked to the pursuit of our most cherished values: equality, justice, dignity and freedom. We therefore call on all citizens to turn out in great numbers and defeat the Mahinda Rajapaksa regime by casting their vote in favour of the Common Opposition Candidate Maithripala Sirisena and the Swan symbol.